After yesterday's difficult run that capped a week of tough workouts, I decided to give myself a couple of days rest in the upcoming week. Since today is Sunday, I couldn't resist the chance to go out for a run without the time constraints that I face on workday mornings. You'd think that I'd take it easy today and ease into my upcoming rest period, but that's not the way it went. I've had some tweaking around my left knee and I felt some soreness when I got up today. I noticed that the pain came from lateral, not straight-ahead, movements. That meant I could run, so I put on my running gear and headed outside. I thought about my current stamina issues and popped a couple of Sports Beans before I left. I'm not sure if they helped, but I did feel more energy at the start than I did before yesterday's run. It made me think about two products I'd like to see: a time released carb/electrolyte supplement and an electrolyte drink that is neutral-tasting like water. I used to buy electrolyte-enhanced water at Whole Foods after runs in the city, but it only solved part of the problem. 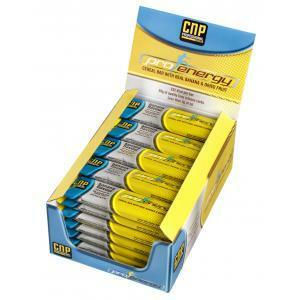 I looked online and found a product called CNP Pro-Energy bars that supposedly release energy over time. The website is from the UK and I don't know if the bars are available in the US. I think both of these ideas would find a market here. Today's run went very well. 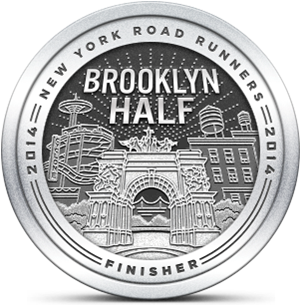 I didn't plan to cover a long distance, so I ran harder than I did Saturday. My speed improved 2 minutes per mile over yesterday's pace. That was good enough for me, and when I finished I was breathing hard but happy to take a break over the next couple of days. I need to get in at least one 6+ mile run next weekend as I continue to build my base for May's half marathon. In the meantime, I'm hoping to recover my fitness with a little R&R. Never tried the beans. never treied "goo" either. My first LI half they gave me one at 9-10 mile mark and i finsihed with it in my hand. You can actually see it in the finsih line picture. I'm not really a fan of Sports Beans (which are just jelly beans with additional electrolytes). I happened to have a pack that someone had given me so I figured, why not? I do appreciate the boost from GU and Roctane during races though.